Looking for a way to let that special someone know just how much they mean to you? 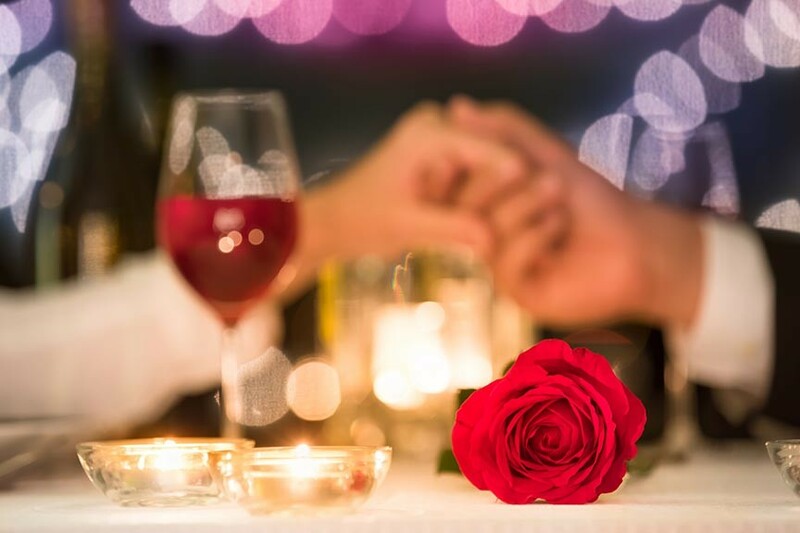 A Valentine’s Day Getaway at English Inn Restaurant & Pub in Eaton Rapids, MI is your ticket to romance, relaxation, and luxury. Only 20 minutes away from the buzz and excitement of Lansing, yet seemingly worlds away, English Inn Restaurant & Pub is a 1920’s, Tudor Revival mansion on 15 acres overlooking the Grand River: historic Medovue Estate. Lush and beautiful, the manicured grounds and stately edifice of marble, slate, and Honduran mahogany that make up English Inn Restaurant & Pub are the very picture of old world grandeur – one would be hard pressed to find a more romantic location for dining, lodging, and the flowering of love’s blossom. Our Ultimate Getaway Package, our premiere dinner and overnight package, is a perfect compliment to any Valentine’s Day getaway. Linger over dinner and retire to one of our rooms. The Valentine's Special. We think everyone should extend Valentine’s Day this year. Why not, right? With this in mind, we’re offering Room and Dinner packages at the English Inn for the next 10 days. 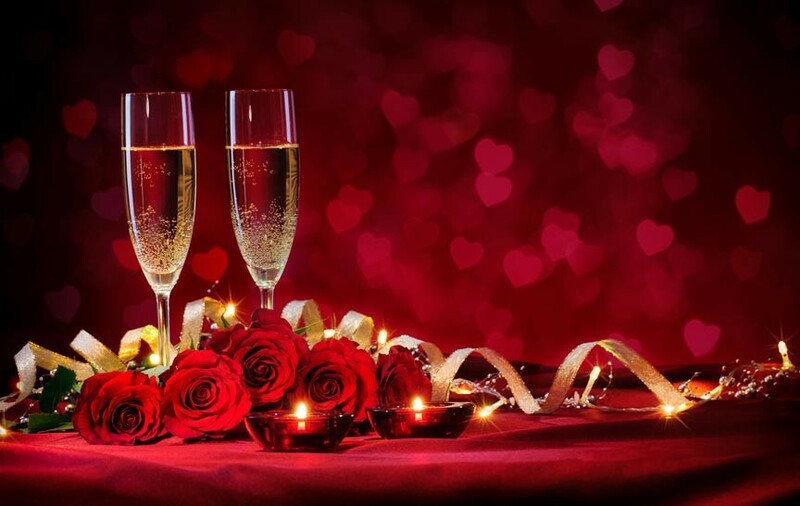 Bring your sweetie to our Eaton Rapids inn and fine dining restaurant for a night of wining, dining, and love. 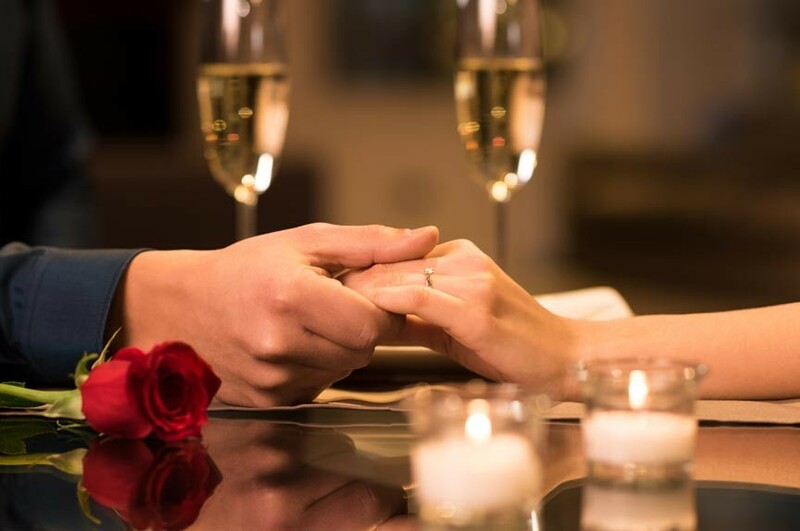 Express your love by stepping out of your routine and spending a romantic night together at our inn. Call a babysitter. Call your parents. Call a friend. Call whomever you need to call to make this happen. It’s a simple gesture, really, but a grand one. Our Valentine’s Special starts at $125 and includes one night of lodging and dinner for two. It’s worth learning more about this. Please call 517.663.2500. If you’ve been thinking about popping the question, and are just waiting for the perfect time and place, we have a suggestion. If everything goes as planned, this could be you. Bring the object of your affection to The English Inn, our Lansing area Bed and Breakfast and fine dining restaurant. Come for the night or come for a leisurely dinner. Many places around the inn are perfect for proposals: the dining room (over champagne or a glass of wine), the guest rooms (private and luxurious), the gardens (even in winter), the pergola overlooking the Grand (the breathtaking view). You may want to consider our Ultimate Getaway Package, which includes luxury accommodations, a champagne dinner for two, breakfast, and a commemorative lithograph of your stay with us. How many people have a lithograph of the moment they popped the question? How wonderful! The charming country setting of our Lansing area Bed and Breakfast is inherently romantic. Make the most of it. Pop the Question during a romantic getaway here, perhaps some time around Valentine’s Day. Even if you know the answer will be yes, it doesn’t hurt to set the right mood. Later, when you’re deciding on a wedding venue, consider saying your vows where you first promised you would. In years to come, you may even decide to celebrate your anniversary with a trip to our Michigan inn. Now that’s romantic. Now that October has passed, the holidays are rushing towards us. Before we know it, we’ll be sitting down to our Thanksgiving feasts with friends and family. Christmas will be just a blink of an eye after that. The Somerset room - a romantic retreat. This means it’s time to start thinking about gifts. The Ultimate Getaway Package at our Lansing area Bed and Breakfast is an ideal gift for people you know and love well. It includes one night in one of our most luxurious guest rooms, a gourmet Champagne Dinner for two, and a delicious breakfast. Who would want an Ultimate Getaway at our Lansing Inn and Restaurant? Couples with young children. Indeed, they would be forever indebted to the person who offers to watch their children for a night while they enjoy a romantic night in our luxurious Michigan Bed and Breakfast. Hardworking graduate students. They live from one grueling semester to the next, and can’t even imagine what it would be like to bask in luxury for an evening. Newlyweds. They are home from the honeymoon but still feel the need for romance. Your parents. They’ve given you so much in life. Why not give them something special in return. Please see our Specials & Packages page for more details about the Ultimate Getaway Package at The English Inn. Are you thinking of proposing soon? Valentine’s Day is a wonderful day to do so. Sneak a ring in a box of chocolates or a bouquet of flowers. 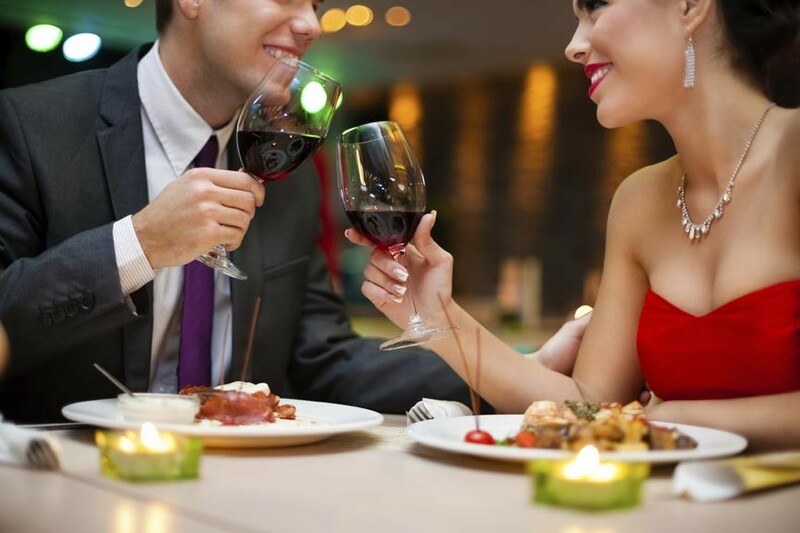 Better yet, get on your knee while sharing a meal at our Lansing Fine Dining Restaurant. We love to watch romance blossom. The first date, the proposal, the wedding, the anniversary… we invite all to take place at our romantic Lansing lodging. Romance blossoms at our Lansing Inn. Photo: Bride and Groom in the upstairs Hall of the main house. Doug Ebinger Studios. Posted in Bed and Breakfast Specials | Comments Off on Proposing on Valentine’s Day?